Prime Minister Sheikh Hasina yesterday said her government had moved to purchase two submarines and a coast guard cutter for Bangladesh Navy to modernise and strengthen the force. “Activities are going on to purchase two submarines from a friendly country,” she told parliament while replying to a lawmaker’s scripted query on her government’s efforts to modernise the navy, army and air force. Hasina, however, did not mention the name of the country friendly to Bangladesh and the timeframe for completing the purchase. The coast guard cutter will be purchased from the USA, she said. According to a report prepared by the navy in early 2009, the force has planned to introduce an aviation wing and a submarine to its fleet to obtain capability of a three-dimensional force. The force has already taken steps to build infrastructure and train up its personnel, said the report sent to the armed forces division, a wing under the prime minister’s office. In her scripted answer, the premier said her government has already purchased missile, torpedo for destroying ship and submarine, depth charge, rocket launcher, canon, radar and other weapons for the navy. Earlier on June 13 last year, Planning Minister AK Khandker, who is in charge of the defence ministry in the parliamentary affairs, told parliament that the government has moved to purchase two off-the-shelf [readymade] frigates, two large patrol crafts, two maritime patrol aircrafts and five patrol crafts for the navy. In scripted answer to the query, the premier also described her government’s various measures to modernise and strengthen the army and air force. She said two new army commands and an infantry division, two air defence brigades, more than one armoured, artillery and engineering battalions and other necessary supportive units will be added to the army to strengthen the force as part of implementation of the forces goal-2030. The forces goal will be implemented in four phases in light of the defence policy formulated by the then Bangabandhu-led government in 1974, Hasina told the House. Besides, she said, the government has moved to purchase fourth generation MBT-2000 tanks, multi-launcher rocket system, weapon locating radar, automatic grenade launcher, anti-tank weapon, non-guided anti-tank weapon, anti-tank guided missiles etc for the army. “The activities will begin this financial year to buy multiple rocket launch system, weapon locating radar, ground surveillance radar and aircrafts carrying soldiers,” said Hasina, who also holds the defence portfolio. She also mentioned that a process was underway to purchase modern euro-copter, light fixed-wing aircraft and armoured and anti-air weapons for the army. “As part of expansion of the army and its modernisation, efforts are under way to establish an air defence regiment,” she added. To modernise the air force under the forces goal-2030, she said her government has moved to buy air defence radar, fighter planes, air-to-air missiles, etc. Hasina also informed the House about some other defence purchases already done for the armed forces. This entry was posted in The world's submarines and tagged Bangladesh, Sheikh Hasina on February 28, 2013 by jasonlockley. Thales UK is to supply its Sonar 2076 fully integrated search-and-attack submarine sonar system to BAE Systems for use on new British vessels. The submarines, the sixth and seventh Astute class vessels of the British navy, are being built by BAE Systems Maritime-Submarines in Cumbria. “Thales is proud to be supplying Sonar 2076 for all seven Astute class submarines,” said Phil Naybour, head of Thales UK’s naval business. The sonar system to be supplied will include both inboard and outboard bow, fin, intercept and flank arrays and inboard processing equipment. “BAE Systems is pleased to award Thales UK these important contracts for the sonar systems for the sixth and seventh Astute class submarines,” said Ian Hawkes, head of Combat Systems, BAE Systems Maritime-Submarines. Thales said its involvement with the Astute class building program is not limited to sonar gear. It also supplies two non-hull penetrating CM010 optronic masts, electronic support systems and communications and emergency buoys. 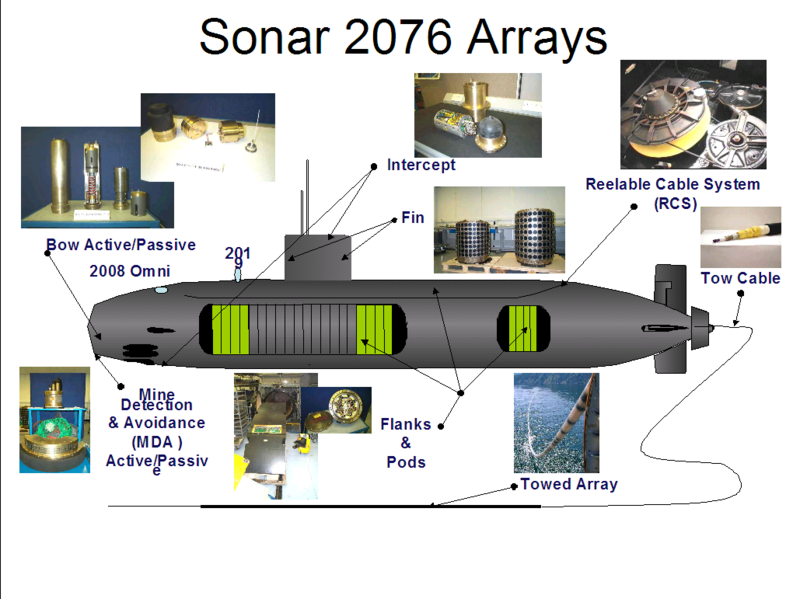 This entry was posted in UK Submarines and tagged Astute, BAE Systems, Ministry of Defence, MoD, Sonar 2076, Thales on February 27, 2013 by jasonlockley. A diesel boat came back from patrol and the pipe was made “All Part III books to the Wardroom. So all the Part III’s mustered at the wardroom except for one junior rating who had a pack of cards. The First Lieutenant said to him “Where is your Part III book? The First Lieutenant replied “Because of this, I am putting you on Captain’s report. The rating began laying out the deck of cards. When I see the Ace, it tells me that there is but one Main Line. When I see the Two, it reminds me of the planes – Fwd and Aft. When I see the Three, it reminds of the three watch system – Red, White & Blue. When I see the Four, it reminds me of the four types of torpedo – Mk8, 20, 23 & 24. When I see the Five, it reminds me of the five compartments – Forends, Accom. Space, Control Room, Engine Room & After ends. ..and when I see the Six, it reminds me of the Six Valve Chest. Sir, when I see the Seven, it reminds me of the number of masts – Fwd Periscope, After Periscope, Radar, ECM, Snort Induction, WT and Snort Exhaust. When I see the Eight, it reminds me of the eight torpedo tubes – 6 Fwd & 2 aft. When I see the Nine, it reminds me of the punishment I will get for losing my Part III book. When I see the Ten, it reminds me of the number of months we have run from Faslane when being an SM1 boat. When I see the Jack, it reminds me of all the jacky bastards living in the Fwd Mess. When I see the Queen it reminds of me of Polaris Submarines and all the queens that man them. When I see the King, it reminds me of you sir – the Captain. There are two Jokers in the pack – the number of times I have been home this year. There are Four suits, one for each mess – Fwd, Aft, Senior Rates and that other one. There are Twelve picture cards, one each for the number of killicks that seem to be on my back at any one time. There are Thirteen tricks, one each for the number of killicks that are on my back at any one time. There are Fifty Two cards, one for each of the sailors that the Jimmy thinks are onboard. There are Three Hundred & Sixty Five Spots, the number of days we turn to in a year. And so you see Sir, my deck of cards serves me as a Part III Book, SMP6, Watch & Station Bill and Leave Record. You see folks, this story is true – I was that Part III. N.B. I was awarded 10 days nines, 30 Days stoppage of leave, 30 days stoppage of Submarine Pay and picked up for a haicut on the way out. This entry was posted in UK Submarines and tagged Part III on February 26, 2013 by jasonlockley. Argentina has lashed out at the UK for allegedly violating an international treaty and sending submarines with nuclear weapons capacity to the Falkland Islands- a nuclear-free zone. “We currently are in an unstable stage of the implementation of the Tlatelolco treaty, which bans nuclear arms in Latin America and the Caribbean. [The Treaty] is being defied by the United Kingdom,” MercoPress quoted Eduardo Zuain, Argentina’s Foreign Relations secretary, as saying prior to the Disarming Conference at the UN. Zuain also blamed London for a strong military presence in the Atlantic,“including submarines with the capacity to transport nuclear armory to a nuclear-free area,” alleging they were dispatched to the area 30 years ago during the conflict between Buenos Aeros and London. “This is why Argentina in several opportunities has expressed its concern, before different international forums over the possibility that the UK could have introduced nuclear weapons to the South Atlantic,” Argentina’s representative said in Geneva. Zuain pointed out that Falklands constitute one of the world’s most militarized territories with more than 1,500 British soldiers and 3,000 citizens. The diplomat went onto argue that such a military presence also threatens other countries in the region. “We deplore that the UK government so far has not provided requested clarifications on the incidents reported, nor has it given any information which could corroborate or deny recent displacements of nuclear submarines with the capacity to carry atomic weapons,” Zuain stated. The 1969 Treaty of Tlatelolco banned nuclear arms in Latin America and the Caribbean and established a nuclear-free zone. Conflict over the archipelago in the south-western Atlantic Ocean has been simmering since 1982 when the two countries fought a war that the British won. In 2010, a British company began oil exploration near the archipelago, which has led to an exacerbation of the conflict. Recently, the President of Argentina Cristina Fernandez de Kirchner sent a letter to the British Prime Minister David Cameron calling to negotiate the return of the archipelago to Buenos Aires. The British prime minister replied that the population of the islands support the UK’s sovereignty, which he stipulates would be confirmed by a public referendum in March. This entry was posted in UK Submarines and tagged Eduardo Zuain, Falklands, Las Malvinas, Tlatelolco treaty on February 26, 2013 by jasonlockley. SAN DIEGO (CBS 8) – This Friday the movie “Phantom” opens in theaters across the country (USA). In this News 8 video story, Jeff Zevely met the movie’s writer and director onboard the Soviet B-39 sub. This entry was posted in US Submarines, Video Clip and tagged B-39, Movie, Phantom, Russian Submarine, San Diego, Video Clip on February 26, 2013 by jasonlockley. A year after cancelling its Lada class diesel-electric submarines, Russia has revived the project as part of a joint development effort with an Italian firm (Fincantieri). 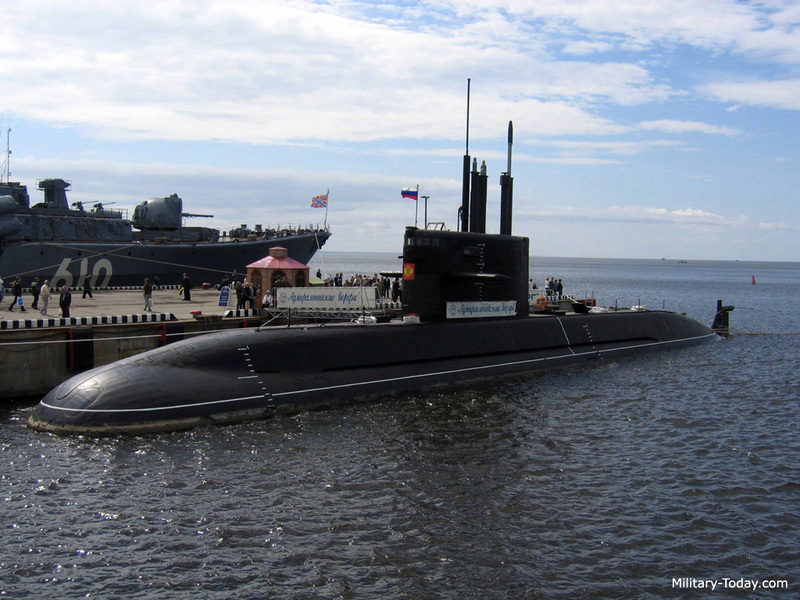 This effort will build the S-1000 submarine, as well as revive other export versions of Lada. These were called the Amur class, and the S-1000 began as the Amur 950. This was what the export version of the Lada was to be called but working with an Italian shipbuilder the Amur 950 has been transformed into the cheaper (less than $200 million each) S-1000 class submarine. While Fincantieri has never built subs (just destroyers, aircraft carriers, and patrol craft), it is one of the largest ship builders in Europe and has access to a lot of Western military technology. The S-1000 will have a crew of only 16. Top submerged speed is 26 kilometers an hour. There are six torpedo tubes and an AIP (air independent propulsion) system to extend underwater endurance to 15 days or more. Instead of eight torpedo reloads, the S-1000 can carry a dozen commandoes. Two years ago Russia began construction of its second “Improved Kilo” submarine. These are mostly for the export market, although the Russian Navy is buying a few more of this improved model as well. The Kilos weigh 2,300 tons (surface displacement), have six torpedo tubes, and a crew of 57. They are quiet and can travel about 700 kilometers under water at a quiet speed of about five kilometers an hour. Kilos carry 18 torpedoes or SS-N-27 anti-ship missiles (with a range of 300 kilometers and launched underwater from the torpedo tubes). The combination of quietness and cruise missiles makes the Kilo very dangerous to American carriers. But for the Russians their Kilos are mostly for home defense. Nuclear subs are used for the long distance work. 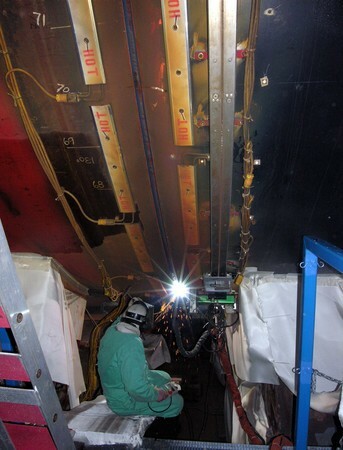 This entry was posted in The world's submarines and tagged Amur Class, Fincantieri, Italy, Lada Class, Russia, S-1000 on February 25, 2013 by jasonlockley.